The beauty and tradition of Donegal tweed is being celebrated through this 100% Irish clothing brand. ‘Love Mo Chuisle’ is the brainchild of Anna Dobson who has long nurtured a love for tweed, describing it as ‘chic, classic and incredibly versatile’. With three small children whom Anna calls “my darlings” the Gaelic name for the brand ‘Love Mo Chuisle’ was born. Though just a year in business, the Wicklow woman has built up a dedicated following for her beautiful hand crafted range of brightly coloured tweeds from McNutts Donegal Wollen Mill in Downings, using a palette of mustards, bright blues, raspberries and autumn green plaid, alongside the traditional grey and navy herringbone tweeds. 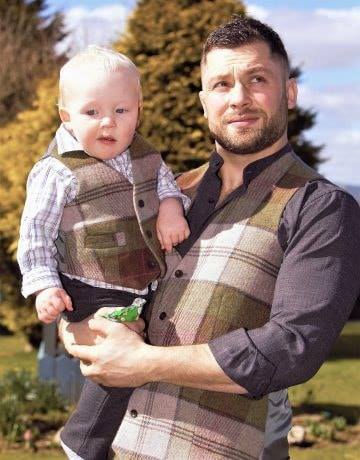 ‘Love Mo Chuisle’ has created men’s and boy’s cute matching waistcoats, ties and bow-ties. The capsule collection also includes ladies fitted fashionable box pleat coats and dresses with a contrasting palette. Complimenting the classic Ladies and Men’s range is a matching children’s collection, which cleverly caters for a niche market. Love Mo Chuisle Designer Anna Dobson. 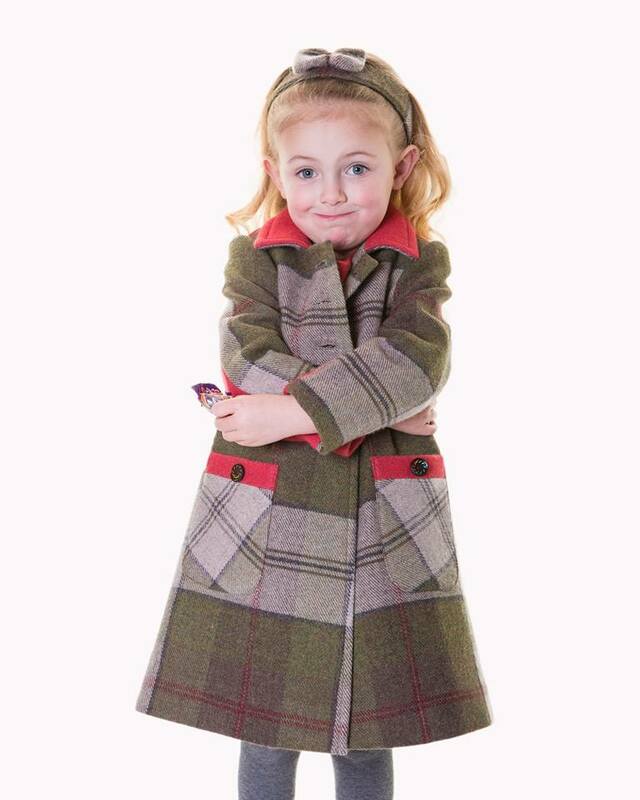 Anna said, “I saw an opening for top quality children’s tweed. It’s perfect occasion wear and ideal for keeping warm on chilly days. The girls’ collection includes cut panelled coats, hooded capes, matching dress and a colourful array of matching accessories. “There was nobody else doing this and I am getting a wonderful reaction from customers. They appreciate that Donegal tweed is an interwoven and intrinsic part of our culture and love the fact that I am broadening its appeal”. She added: “I believe there is beauty in tradition. With tweed you can never be unfashionable, it is timeless and classic. “What I am doing is designing a contemporary collection which is adding to its allure. It’s a wonderful fabric to work with; it’s natural and breathable, hard wearing and warm. “All my pieces are cotton fused which makes them super soft and also helps to ensure they fall beautifully”. All handmade in her design studio, Anna has pitched her prices competitively with ladies coats coming in at €359 and the little girls coats at just €149. The dinky little bowties for boys are perfect accessories, coming in at just €27.95 in a quality branded gift box. Men’s ties are super value at €59. Santa is busy with orders we understand! Anna is particularly busy now in the run-up to the busy Christmas season as her boxed accessories are the perfect gift items, and she says she is looking forward to attracting new fans for her favourite fabric, at home and abroad. “My tweeds have incredible appeal both for the Irish and export markets; Love Mo Chuisle is tweed with a twist, what’s not to love!”.